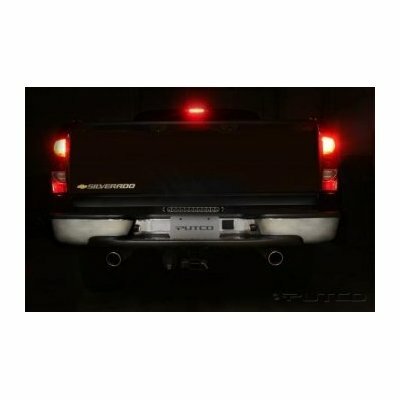 The Putco Mini 15" White LED Tailgate Light Bar w/ Red LEDs is the perfect addition to your truck. Featuring Red turn signals and brake lights, you'll not only improve safety and visibility, you'll look good doing it! * Installs in minutes using supplied 3M tape or mounting screws for a secure installation! * Can be used with towing/hitch packages - no wiring required if you have a hitch! Plug and play! * Wiring is a breeze - color-coded instructions will help you through the entire process! * Adds the Big Truck look to your truck! Turns heads! * LED bulbs are bright and long-lasting! The part number for this item is 940315. Due to reports or fitment issues from some of our customers with Dodge Trucks, we don't recommend this item for Dodge Trucks. There are no other known issues with any other make of truck.